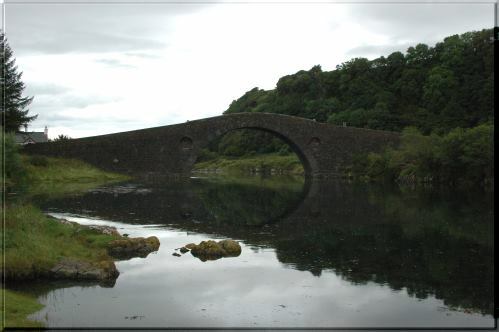 The bridge is only 2 miles from Balvicar and Seil Cottage. All vehicles have to cross it, including the local bus service. 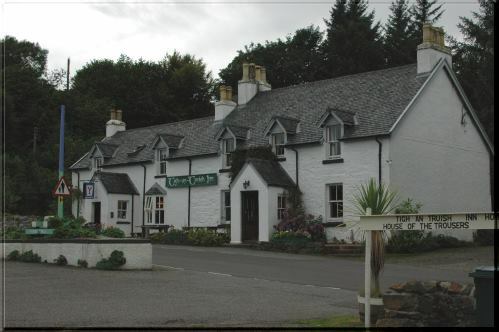 Right by the bridge is the excellent Tigh an Truish: a traditional pub that features in CAMRA's Good Pub Guide for its local real ales. It also serves excellent home-cooked food. 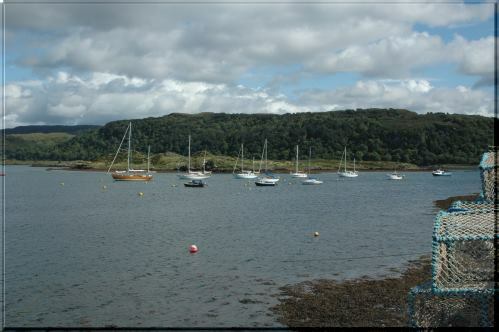 A few minutes walk from the cottage is Seil Bay, pictured here with a few working creels in the bottom right corner. 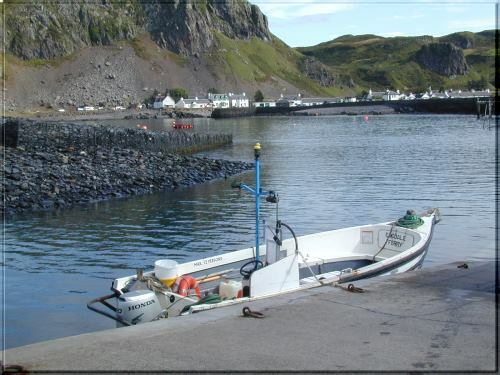 This is the ferry from Seil to Luing. 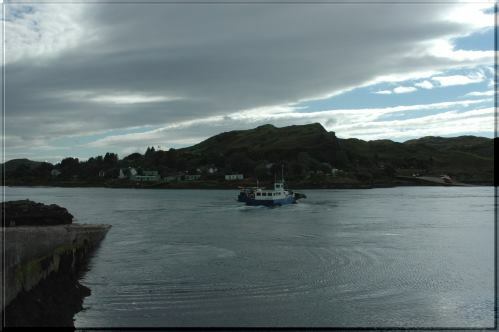 This is looking to Seil from Easdale, having just crossed on the passenger ferry. 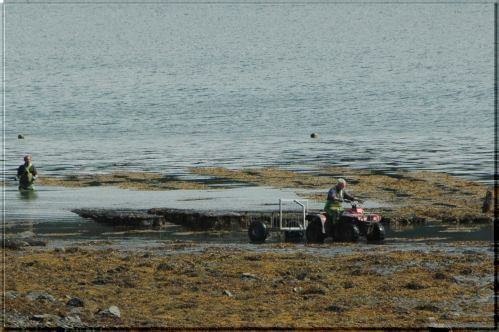 Vehicles are not allowed on this small island. 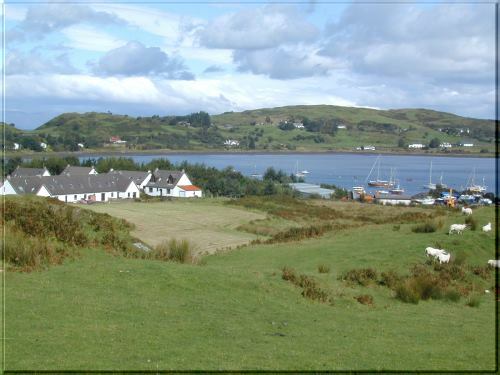 Looking across Seil Bay, with Creel Cottage and other traditional mining cottages to the left. Looking right, there is an oyster farm. 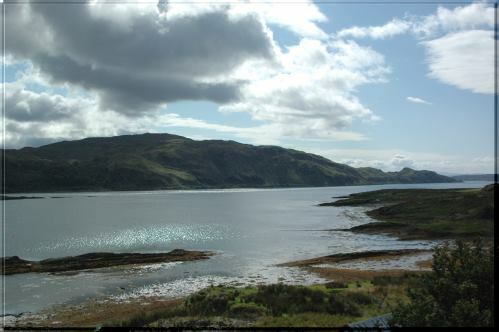 Everywhere around Seil Island is a great landscape.